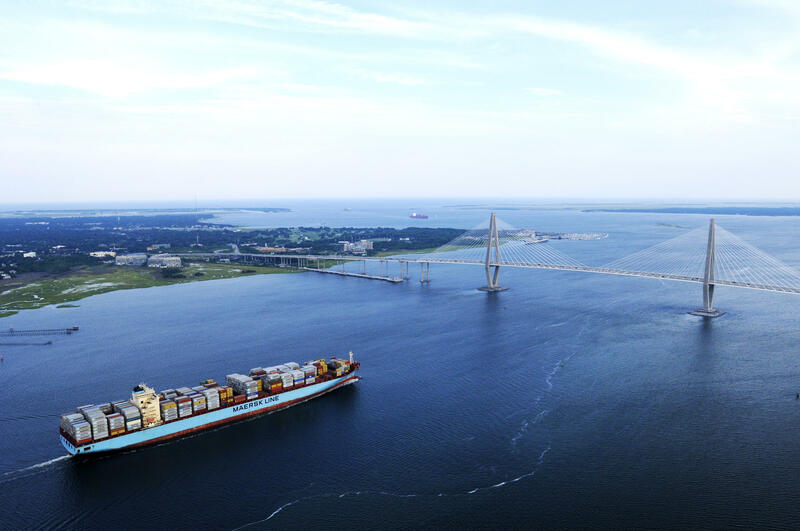 A Maersk Line container ship approaching the ravenel bridge in Charleston. According to a recent analysis by the U.S Chamber of Commerce, South Carolina will be among the state’s hit hardest by the looming trade war, threatening the more than $30 Billion dollars in goods exported from the state each year. The state exports cars, steel products, refrigerators, soybeans and many other goods putting it in the top three states in the country that relies on exports and imports. According to the U. S. Chamber, almost 580,000 jobs in the state are tied to trade, and there are more than 6,000 companies operating here that export goods around the world. Recent announcements by President Trump of new tariffs, or taxes on products from China, Canada, Mexico and the European Union, and retaliatory tariffs by those nations on goods we import is already affecting the state’s economy. Republican First District Congressman Mark Sanford, long a proponent of free-trade policies, says so many South Carolina jobs are now tied to the global economy a trade war could have severe consequences.